Timothy Shriver was born to Sargent Shriver, a former United States Ambassador to France and the Democratic Party's vice-presidential candidate in 1972, and Eunice Kennedy Shriver, the founder of Special Olympics. He was raised as a Catholic along with his siblings, Bobby Shriver, Maria Shriver, Mark Shriver, and Anthony Shriver. He is a member of the Kennedy Family through his mother, Eunice Kennedy Shriver. Shriver graduated from St. Albans School. He received his BA from Yale University in 1981, his M.A. in religion and religious education from The Catholic University of America in 1988, and his PhD in education from the University of Connecticut in 1996. Shriver spent 15 years in public education—some in special education—as a teacher. He served as a high school teacher in the New Haven, Connecticut public school system, and as a counselor and teacher in the University of Connecticut branch of the Upward Bound program for disadvantaged youth. He became a Fellow at the School Development Program at the Yale Child Study Center. He was instrumental in establishing the Social Development Project at the public schools in New Haven, Connecticut and also established the Collaborative for Academic, Social and Emotional Learning at the University of Illinois at Chicago. He was the executive producer on The Ringer, a co-producer on Amistad and the Disney movie The Loretta Claiborne Story, and has served as a producer or co-producer on shows for the American Broadcasting Company, the National Broadcasting Corporation, and the TNT cable channel. He is currently a board member of Malaria No More, a New York-based nonprofit that was launched at the 2006 White House Summit with the goal of ending all deaths caused by malaria. He is currently the Chairman of Special Olympics. Timothy and his brother Anthony Shriver have recently aligned the Special Olympics and Best Buddies (founded by Anthony Shriver), to create the Eunice Kennedy Shriver Challenge event, aimed to encourage greater acceptance and inclusion for those with intellectual and developmental disabilities, a condition that affected their late aunt Rosemary Kennedy. Shriver has served on the Board of Directors of The Future Project, a national initiative to empower young people to discover their passion and change the world, since its founding. And he has written a memoir Fully Alive: Discovering What Matters Most, published by Farrar, Straus and Giroux (2014). 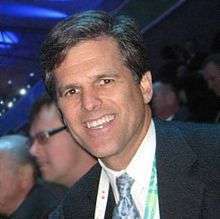 As chairman of Special Olympics, Timothy Shriver has campaigned against mocking of and discrimination against participants in Special Olympics. He has specifically argued against use of what he calls "the R word," meaning retarded, stating that the word, "retard", is very offensive and people with intellectual disabilities should be respected and treated like all other people. Together with the members of the international coalition, I am asking Steven Spielberg, Stacey Snider, Ben Stiller and the entire "Tropic Thunder" team to stop showing the film, and asking movie theaters and moviegoers to shut this movie out. "Tropic Thunder" is a colossal blunder. Don't show or see "Tropic Thunder." In November 2014, Timothy Shriver released a book called Fully Alive: Discovering What Matters Most. Shriver married Linda Potter (born January 13, 1956) on May 31, 1986. They currently reside in Chevy Chase, Maryland with their five children: Sophia Rose Shriver (born 1987); Timothy Perry Shriver, Jr. (born 1988); Samuel Kennedy Shriver (born 1992); Kathleen Shriver (born 1995); Caroline Shriver (born 1997). He also remains close to his confirmation son Samuel Rutledge (born 1989) and lifelong friend of son Timothy Potter Shriver. 1995 Connecticut Citizen of the Year. ↑ "Linda Potter To Wed Timothy Shriver – New York Times". New York Times. December 8, 1985. Retrieved June 26, 2008. ↑ Cooper, Chet. "Timothy Shriver — Special Olympics". ABILITY Magazine. Retrieved 18 February 2014. 1 2 "Timothy & Anthony Shriver — Eunice’s Legacy". ABILITY Magazine. Daryl "Chill" Mitchell Issue. Aug/Sept 2010. ↑ "Encouraging Students to Imagine the Impossible". The Atlantic. Retrieved November 16, 2013. ↑ Shriver, Timothy (August 13, 2008). "Commentary: Why 'Tropic Thunder' shouldn't be seen". CNN.com. Retrieved 2009-08-15. "Timothy & Anthony Shriver — Eunice’s Legacy". ABILITY Magazine. Aug/Sept 2010.